The redesigned grille gives the Altima® a more aggressive, signature look that hints at this vehicle's thrilling capabilities. Altima®'s available LED headlights with integrated signature make an unforgettable impression - day or night. Nissan Altima®'s premium taillights are brilliant not only for their stylish, integrated design, but also for their incredible visibility. The beautifully designed interior greets you with available luxurious, soft leather-appointed seats. From there, you'll notice the intuitive layout of the driver-centric cockpit. All around you, style, comfort, and quality materials are there to remind you, Altima® puts a premium on making you comfortable. The redesigned center stack has a more ergonomic layout, giving you easy access to all the controls. Another benefit? Its clean design adds to the premium feel of the interior. More proof Altima® is all about you. *Driving is serious business and requires your full attention. If you have to use the feature while driving, exercise extreme caution at all times so full attention may be given to vehicle operation. Information displayed is dependent on how vehicle is equipped. *Driving is serious business. Only use features when safe to do so. App availability is dependent upon vehicle model, trim level, packaging, and/or options. SeeNissanUSA.com/connect for complete app availability details. Never program while driving. GPS mapping may not be detailed in all areas or reflect current road status. Compatible smartphone required. Cellular network and GPS signals not available in all areas and/or at all times. Technology is evolving, and changes by independent companies are not within Nissan's control. Nissan is not responsible for associated coststhat may be required for continued operation due to cellular network termination (including equipment upgrades, if available, or roaming charges on alternative networks) or other third party changes. Should a third party provider terminate/restrict service, service may be terminated withoutnotice and with no liability to Nissan and its agents or affiliates. Subscription Agreement required and terms and conditions of Subscription Agreementapply. SeeNissanUSA.com/connect for details. Thirty-six (36) month trial period begins on your date of vehicle purchase or lease of a new Nissan; subsequently a paid subscription is required (excluding Pandora®, if Pandora® app via NissanConnectSM is equipped on vehicle) at the then current rate to continue to receive services. Text rates and/or data usage may apply. Google® Points of Interest and/or Google® Send to Car may require subscription and owner consent to activate. Certain services, including Google® Points of Interest and/or Google® Send to Car, provided by independent companies not within Nissan's control. Should service provider terminate/restrict service, service may be suspended or terminated without notice or liability to Nissan and/or its agents. Nissan not responsible for any equipment replacement or upgrades, or associated costs, that may be required for continued operation due to service changes. The available Bose® Premium Audio System fills the Altima® with music of both depth and precision. Nine speakers, custom-tuned to the cabin's acoustics, channel sound throughout the vehicle, for an expansive musical experience. *Parking aid/convenience feature. Cannot completely eliminate blind spots. May not detect every object and does not warn of moving objects. Always check surroundings and turn to look behind you before moving vehicle. It's never been easier to rev things up. With the Nissan Intelligent Key® in your pocket or purse, and standard Push Button Start, just get in, push the button, and go. *Available only for 2.5 S and 3.5 S. Standard on Altima 2.5 S with Sport Value Package. State laws may apply; review local laws before using. 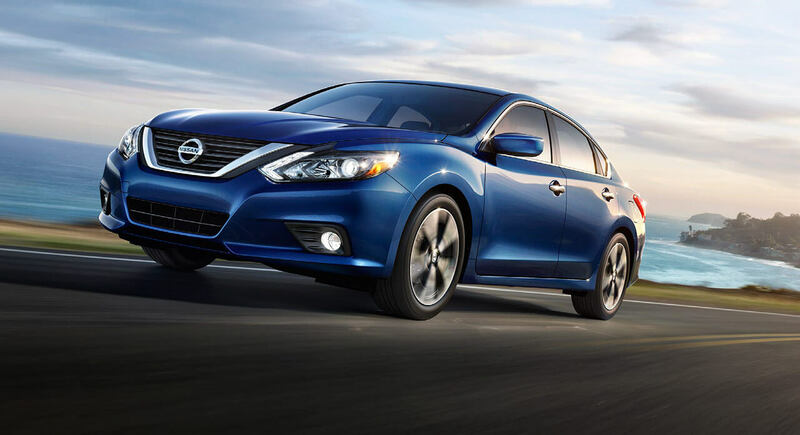 Altima® SR puts you in the middle of the excitement. The specially tuned sport suspension begs you to push it through corners, while steering wheel-mounted paddle shifters keep you close to the action. If you love to drive, this is where you want to be. Setting the Altima® SR apart even further, the specially designed smoked headlights let everyone know this vehicle takes style as seriously as it does performance. Designed specifically for the SR, the 18" aluminum-alloy sport wheels not only keep the weight down for better performance, but show the competition this vehicle isn't just talk. *CA emissions (SULEV) equipment causes nominal reductions in horsepower (from 182 hp to 179 hp) and torque (from 180 lb-ft to 177 lb-ft). SULEV vehicles are available in California and some northeastern states. ** Fuel economy based on Targeted 2016 EPA fuel economy estimates for 2016 Altima. 39 MPG for 2.5, 2.5 S, 2.5 SV, and 2.5 SL models only. EPA data not available at time of publication. Targeted 2016 fuel economy 27/39/31 city/hwy/combined MPG based on Nissan internal testing results, subject to EPA conformation. Actual mileage may vary with driving conditions - use for comparison only. 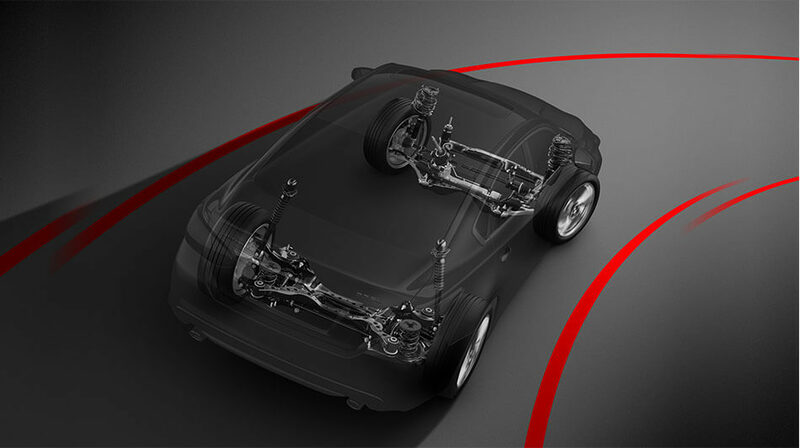 With the Nissan's Xtronic CVT® transmission, you have a virtually gearless road warrior. It can hold the engine at the ideal rpm for the job, providing a wave of power when you need it and running low rpm for quiet, efficient cruising when you don't. Nissan's legendary 3.5-liter, 270-hp V6 engine treats you to sportscar-like performance and a cool 32 highway MPG* that keeps you right at home in the fast lane. *Fuel economy based on Targeted 2016 EPA fuel economy estimates for 2016 Altima. 39 MPG for 2.5, 2.5 S, 2.5 SV, and 2.5 SL models only. EPA data not available at time of publication. Targeted 2016 fuel economy 27/39/31 city/hwy/combined MPG based on Nissan internal testing results, subject to EPA conformation. Actual mileage may vary with driving conditions - use for comparison only. 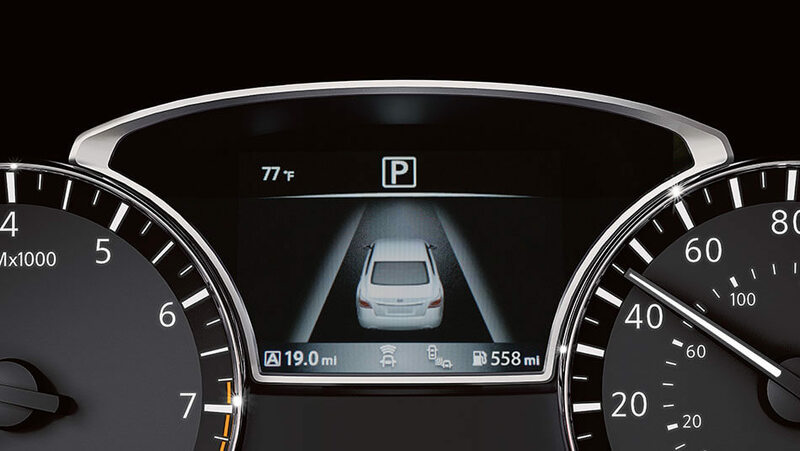 Imagine if your car knew when you were cornering - and how to respond to your commands. 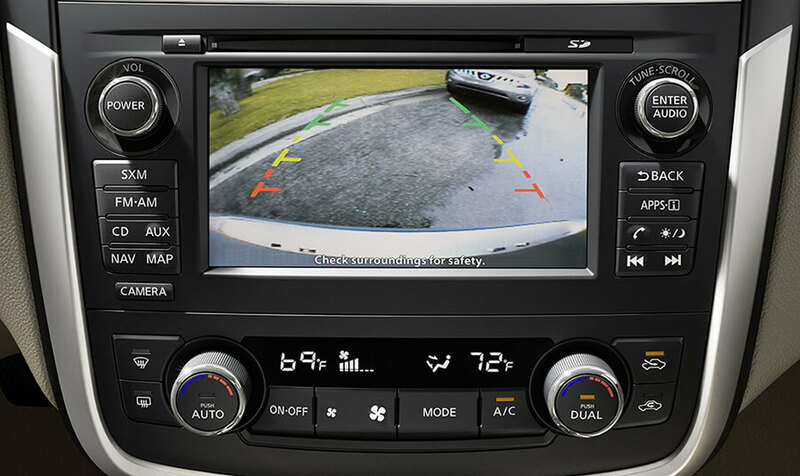 That's the kind of intuitive response we've engineered into every Altima®. So you can enter a corner with more confidence, and exit with a big grin. Active Understeer Control reads the cornering situation and, if needed, brakes the appropriate wheel to help you steer through the turn. 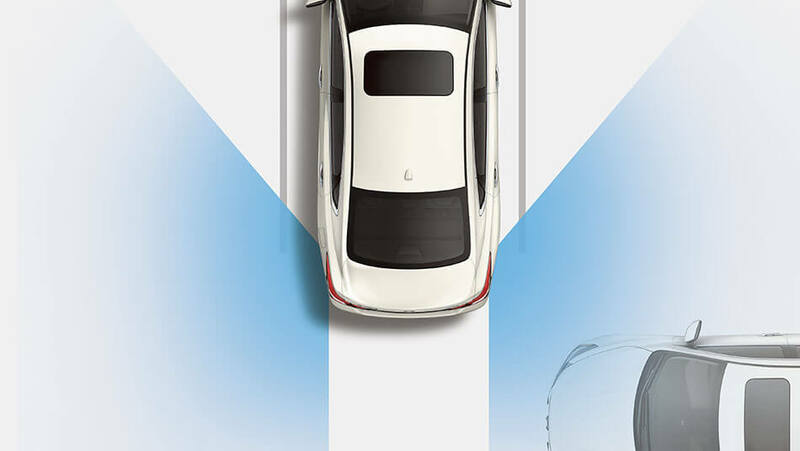 Handling is further enhanced by Altima®'s rear multi-link suspension, giving you the sensation of riding on rails. *Air bags are only a supplemental restraint system; always wear your seat belt. Even with the occupant-classification sensor, rear-facing child restraints should not be placed in the front-passenger's seat. All children 12 and under should ride in the rear seat properly secured in child restraints, booster seats, or seat belts according to their size. Air bags will only inflate in certain accidents; see your Owner's Manual for more details. *Blind Spot Warning is not a substitute for proper lane change procedures. The system will not prevent contact with other vehicles or accidents. It may not detect every vehicle or object around you. PFCW is intended to warn you before a collision occurs; it cannot prevent a collision. Speed and other limitations apply. See Owner's Manual for details. FEB cannot prevent accidents due to carelessness or dangerous driving techniques. It may not provide warning or braking in certain conditions. Speedlimitations apply. *Not a substitute for proper backing procedures. May not detect all moving vehicles. Speed and other limitations apply. See Owner's Manual for details. *Blind Spot Warning is not a substitute for proper lane change procedures. The system will not prevent contact with other vehicles or accidents. It may not detect every vehicle or object around you. *PFCW is intended to warn you before a collision occurs; it cannot prevent a collision. Speed and other limitations apply. See Owner's Manual for details. JD Power Segmentation. MY16 Altima 2.5 SL with Tech Package or 3.5 SL with Tech Package vs. in market MY15/16 competitors in mid-size car segment. Information from manufacturers' websites. FEB cannot prevent accidents due to carelessness or dangerous driving techniques. It may not provide warning or braking in certain conditions. Speedlimitations apply. The 2017 Nissan Altima is available at all 7 Mossy Nissan locations in San Diego.